Our InterviewFX series continues! These interviews offer business owners and marketers important insight, advice, and ideas that will help grow their online presence and become more successful at what they do. If you missed our last interview with reddit’s Adriana Gadala-Maria, you can read it right here. You can now see all InterviewFX posts, both past and present, on this page — check it out! Today, we’re asking Danny Wong of Shareaholic, a leading provider of content marketing and social media tools, five questions about social media, how to reach fans, and advice for new entrepreneurs or startup employees. Keep reading to see the full interview. 1. What is the company culture like at Shareaholic? 2. What do you think is a common misconception about social media? That it is purely a megaphone. Social media is a channel for brands to listen, respond and share interesting stories. If you are unavailable via social media, then you’re missing out on a prime opportunity to learn from and engage with vocal users who may influence how your product or service is adopted through word of mouth. 3. What are your thoughts on the situation with Facebook’s reduction of organic reach for Pages? How can Pages combat this and continue to engage their fans? Brands should focus less on recovering their Page’s reach and should shift their focus to producing content that is actually shareworthy on all social media channels. Anecdotally, a post I published about my newfound understanding behind LinkedIn’s publishing strategy and its current value-add to businesses received 650+ shares on LinkedIn. 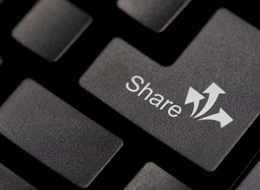 Generally speaking, I’m lucky if a post I publish gets more than 30 LinkedIn shares. We don’t have a grand presence on LinkedIn. We didn’t pay to promote it. But LinkedIn readers outside of our regular readership found it wildly shareable. Similarly, our Social Referrals That Matter report went viral a few months back, and has 1,330+ likes and shares from Facebook. 4. What is the most creative marketing campaign you have seen? More recently, I’ve fallen in love with Chipotle. Not just for its delicious burritos, but because of its innovative marketing campaigns. Of course, the Scarecrow was cool, but the gamble they took on Farmed and Dangerous was absolute genius. Branded content — blog posts, news articles, or TV shows — will be a critical component of any integrated marketing campaign in the near future. 5. What’s one piece of advice would you give to anyone joining a startup or even starting their own business? Start small and slowly grow your idea. You never need a game changing business plan to make money. Generally the hardest thing a new entrepreneur can do is to make her first dollar. So do it now, or forever be paralyzed by the fear that you can never do it. 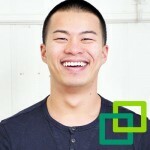 Danny Wong does marketing for Shareaholic, a content marketing platform, and is an infrequent writer. He is also the co-founder of Blank Label, a luxury menswear brand. Feel free to find him lurking around the Twitterverse @dannywong1190.